Geoff began his employment with Maltbys in 2008 and became an Associate Director in 2015. Geoff has over 13 years' experience in the industry as a professional consultant in New Zealand and Australia. Geoff is a member of the New Zealand Institute of Quantity Surveyors MNZIQS and a member of the NZ Society of Construction Law Inc.
His expertise covers the full range of quantity surveying services, with extensive experience in Project and Cost Management of major construction projects, Estimating, Contract Servicing, and Development Risk Management. 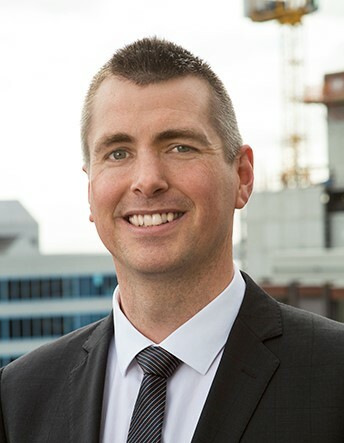 Geoff has worked on a wide range of projects in New Zealand and Australia, latterly and significantly in the Corrections, Education, Residential, Retail and Commercial building sectors. Geoff’s experience includes three years working with the Special Purpose Vehicle (SPV) on an AUD$495M Public Private Partnership (PPP) project. Outside of work, Geoff is a keen golfer trying to reduce his handicap, along with taking care of his young family.